This Fun with Mazes activity book helps children learn Bible stories from the Old and New Testaments. A brief retelling of each story also includes the Scripture reference for those who want the complete story. The mazes are designed for children (ages 5-7) to enjoy as an adult helps read the story. These coloring/activity books are not only fun but also educational. The easy-to-understand text and applicable pictures make Bible stories come alive. Reproducible for home or classroom use. Fun With Mazes Activity Book by Warner Press Kids was published by Warner Press in January 2016 and is our 2396th best seller. The ISBN for Fun With Mazes Activity Book is 9781593178475. Be the first to review Fun With Mazes Activity Book! Got a question? No problem! 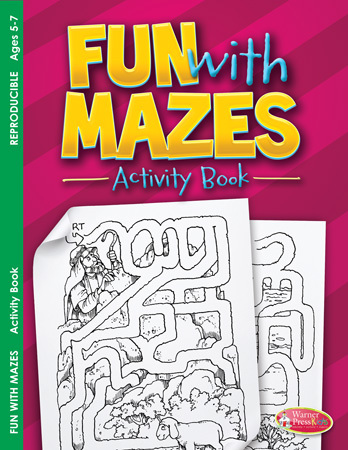 Just click here to ask us about Fun With Mazes Activity Book.